To enter, you must phone the number provided by the presenter after he/she has announced that the telephone line for the Competition is now open. The Competition will run from 17h00 on Monday, 28 November 2016 until Thursday, 22 December 2016 (Competition Period). 4.1. Once during the live broadcast of each Afternoon Express episode on every weekday, except for Fridays, from 28 November 2016 until 21 December 2016 (Competition Days), a presenter will provide viewers with a telephone number and announce that the telephone line for the Competition is now open. 4.2. To enter, you must phone the number provided by the presenter after he/she has announced that the telephone line for the Competition is now open. 4.3. You are required to attend to the cost for your entry, including standard telephone network costs. 5.1. The first person to successfully phone the number provided after the presenter has announced that the telephone line for the Competition is now open on each Competition Day, will be a winner (Winner). There will be 15 (fifteen) Winners. 5.2. We have allocated 15 (fifteen) prizes (Prizes) to 15 (fifteen) crackers numbered 1 to 15 respectively. During the phone call, which will be taken live on Afternoon Express, each Winner will be required to select 1 (one) of the crackers (which had not already been selected on previous Competition Days). Please note that after every Competition Day there will be one less cracker to choose from until the final cracker remains on 21 December 2016. The final Winner will therefore receive the last remaining cracker on 21 December 2016. 5.3. 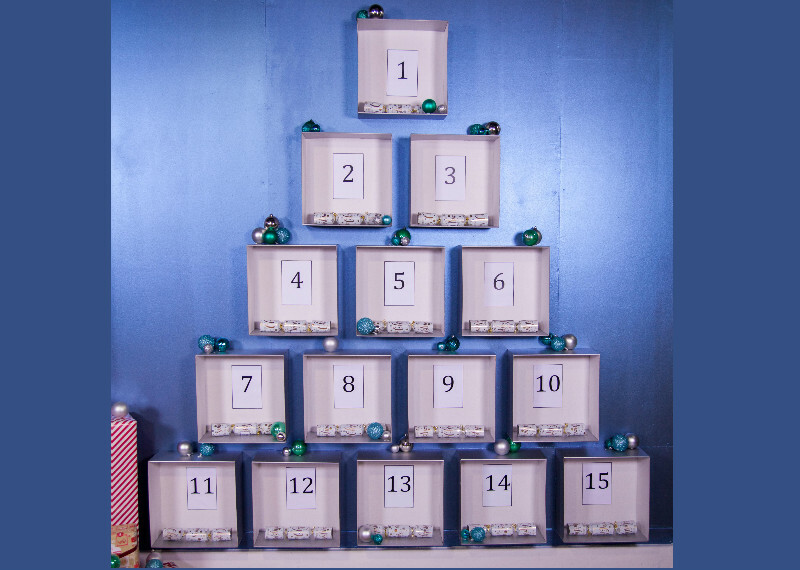 The Presenter will open the cracker selected by each Winner and announce the Prize allocated to the said cracker, which the Winner will receive. 5.4. On 22 December 2016, the 15 (fifteen) Winners will be entitled to participate in a final challenge to determine the winner of the Grand Prize (Grand Prize Winner). The challenge will be announced on 22 December 2016. 5.5. Each Winner will be required to provide a copy of his/her Identification Document as required in terms of the Consumer Protection Act, 68 of 2008. If a Winner fails to provide a copy of his/her Identification Document within 3 (three) days from it being requested, that Winner will forfeit the Prize and shall have no claim against us. 6.1.2. In addition to these terms and conditions herein, the Prizes will be subject to specific terms and conditions pertaining to such Prizes as determined by the relevant Prize providers. Without limiting the generality of the aforesaid provision, Prizes may be subject to expiry dates for redeeming such Prizes. 6.1.3. The Prizes will be limited to items announced by us and information sent to the Winners in writing to confirm the Prizes. We will not be liable to provide any item not included in the written confirmation of the Prize. 6.1.4. Prizes will be delivered to the Winners within 20 (twenty) business days from determination of each Winner at an address within the Republic of South Africa, unless otherwise stated by us and subject to the nature of the Prize. 6.1.5. Should the Winner/s be unable or unwilling to accept the Prize, the Prize, shall be forfeited and the Winner shall have no claim whatsoever against the organisers for any substitution or replacement of the Prize. 6.1.6. The Prize, or any part thereof, may not be exchanged for cash any other item. Prizes are not transferable. 6.2.1. The Grand Prize Winner will be responsible for obtaining insurance cover for the Grand Prize and the cost thereof, should he/she require same. 6.2.2. The Grand Prize will only be awarded to a person who is over the age of 18 (eighteen) years and has a valid driver’s license for the Republic of South Africa. Should the Grand Prize Winner not be over the age of 18 (eighteen) years and/or not have a valid driver’s license, the Grand Prize Winner may, within 3 (three) days, nominate 1 (one) person to whom the Grand Prize should be awarded, failing which the Grand Prize will be forfeited and the Grand Prize Winner will have not claim against us or General Motors SA. The nominated person must be 18 (eighteen) years of age or older and hold a valid driver’s license. 6.2.3. The redemption of the Grand Prize is dependent on area in which the Grand Prize Winner resides and will be discussed with the Grand Prize Winner directly. The Grand Prize Winner will be required to collect the Grand Prize from such dealership as determined by the General Motors SA at his/her own cost. 6.3. We reserve the right to substitute any of the Prizes and/or the Grand Prize, or any parts thereof, with any other prize of a similar commercial value. 7.2. Our decision regarding any matter concerning the Competition and/or arising out of these terms and conditions, including the determination of the Winners, is final and no correspondence will be entered into. 7.3. Should you be determined as a Winner, you irrevocably agree not to use any language via the telephone call during the live broadcast on Afternoon Express, which is obscene, offensive or inappropriate. Should a Winner make any comment, or remark via the telephone call during the live broadcast on Afternoon Express, which we in our sole and unfettered discretion deem as obscene, offensive or inappropriate, we reserve the right to immediately end the call, declare the Prize forfeited and/or choose a new Winner. 7.4. Telephone calls will be taken during the live broadcast of the Afternoon Express show on SABC. The Winners expressly consent to their voices being recorded and featured on the Afternoon Express Show. 7.7. We reserve the right to amend the terms and conditions for the Competition if deemed necessary at our sole and absolute discretion. 7.8. We will need to process your personal information to validate your entry as well as to contact you to offer you Clicks products and, if you are a Winner, to make the Prize available to you. By entering this Competition, you specifically and expressly consent to us processing your personal information for these purposes and you specifically and expressly consent to Clicks contacting you for marketing purposes. 7.9. Unless the Winner specifically states otherwise, each Winner agrees to participate in all promotional activity and hereby consents to organizers and the relevant Prize Provider using his/her name, images and/or voice in any promotional material for the purpose of promoting the Competition. No compensation will be payable for such use. The Winner will have the right to withdraw his/her consent for the use of his/her name, images and/or voice prior to the use thereof by the organizers and/or the relevant Prize Provider in any promotional activity. 7.10. We reserve the right to declare a Prize forfeited if a Winner's call is cut off due to no fault of ours prior to the Prize being determined by a Presenter in accordance with clause 5 and we are unable to immediately re-establish contact with that Winner, and to end any call and declare a Prize forfeited if we are unable to properly communicate with a Winner due to a bad connection. The Winner shall have no claim against us as a result of such a forfeiture. In the event of a forfeiture as contemplated herein, we reserve the right to take another caller and announce a new Winner. 7.11. We assume no risk and/or liability whatsoever for the failure of any technical element in the Competition which may result in your entry not being successfully submitted and/or the Winner not successfully receiving or taking up the Prize. 7.12. Once the Winners accept the Prizes, such Winners accept such Prizes voetstoots and at their own risk. 7.13. We assume no liability whatsoever for any direct or indirect loss, harm or damage arising from your participation and/or use of any Prize awarded in the Competition or for any loss or damage, howsoever arising. You indemnify and hold us harmless for any loss, damage, harm or injury (whether arising from negligence or otherwise) which may be sustained by you, or any related party, arising from your participation in the Competition or any use of a Prize awarded herein. 8.1. BY PARTICIPATING IN THE COMPETITION, YOU AGREE, SUBJECT TO APPLICABLE LAW, THAT NEITHER CLICKS NOR Herbex (Pty) Ltd NOR Home of Living Brands (Pty) Ltd NOR GNC SOUTH AFRICA NOR African Sales Company (Pty) Ltd NOR PhilLips South Africa (Pty) Ltd NOR Unilever South Africa (Pty) Ltd NOR Procter & Gamble SA (Pty) Ltd NOR Reckitt Benckiser Pharmaceuticals (Pty) Ltd NOR L'Oreal South Africa (Pty) Ltd NOR Claire's Accessories South Africa nor City Lodge NOR gENERAL MOTORS NOR ANY OF THEIR RESPECTIVE ADVERTISING AGENCIES WILL BE LIABLE FOR ANY LOSSES, DAMAGES, COSTS OR CLAIMS IN CONNECTION WITH THE COMPETITION OR RESULTING FROM ACCEPTANCE, POSSESSION, OR USE OF ANY PRIZE. 7.14. WE RESERVE THE RIGHT TO TERMINATE, SUSPEND OR AMEND THE COMPETITION FOR REASONS BEYOND OUR CONTROL. WE AND OUR SERVICES PROVIDERS, INCLUDING ANY TELEPHONE NETWORK PROVIDERS, ARE NOT RESPONSIBLE FOR INCORRECT OR INACCURATE TRANSCRIPTION OF ENTRY INFORMATION, TECHNICAL MALFUNCTION, LOST OR DELAYED DATA TRANSMISSION, OMISSION, INTERRUPTION, DELETION, LINE FAILURE OR MALFUNCTION OF ANY TELEPHONE NETWORK, COMPUTER EQUIPMENT OR SOFTWARE, THE INABILITY TO ACCESS ANY WEBSITE OR ONLINE SERVICES OR FOR ANY OTHER REASON BEYOND ITS CONTROL. 7.15. If required by the Minister of Trade and Industry, the National Consumer Commission or for whatever other reason, we will have the right to modify or terminate this Competition with immediate effect and without notice of such modification or termination. In such event, all entrants hereby waive any rights, which they may have against us and hereby acknowledge that they will have no recourse or claim of any nature whatsoever against us.